“The Lord God planted a garden eastward in Eden; and there He put the man whom He had formed” (Gen 2:8). God kept man in a special place of comfort and delight. ‘Eden’ itself means ‘delight’ and the garden in it added to the delight. This is a type of the church. 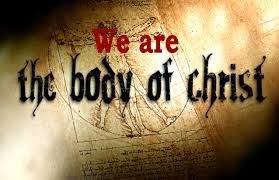 When we are born again and born of water and of the Spirit, the Lord puts us in His Church. This delights us and God also delights in us. “The man whom He had formed” – The Lord puts in the church people in whom He has done some work of formation (transformation of the old nature and formation of divine nature). “We are His workmanship, created in Christ Jesus unto good works” (Eph 2:10). God planted the garden in Eden for man – to provide him with food, shelter and protection and to meet all his needs. Similarly, God has placed man in the Church to give him spiritual food, refuge in the secret place of the Most High, and protection from the powers of darkness, and to meet all his other spiritual needs. Man committed sin and was sent out of the garden, and that ended his delight-filled life. Let us remain in the ‘garden’ God has put us in. Let us surrender ourselves into His hands to be formed according to His desire, like clay in the hands of a potter. Our loving God has made provision for all our needs to be met. Let us stay where God has placed us and keep our life free from sin and worldliness.